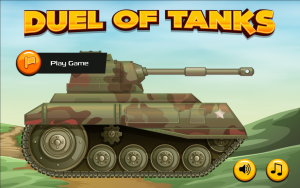 A turn-based artillery game, Duel of Tanks is the game where players counter and destroys the tank of their enemies with howitzers and cannons. 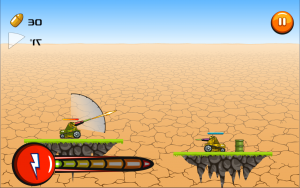 The game is designed to play in two modes which include mission and time attack. Presently, there are 20 levels in the game and more levels will be added later very soon. Learning to play the game is very simple and easy and you only have to swipe your finger for rotating the tank barrel. For increasing the force of the bullet, keep the finger and long press. 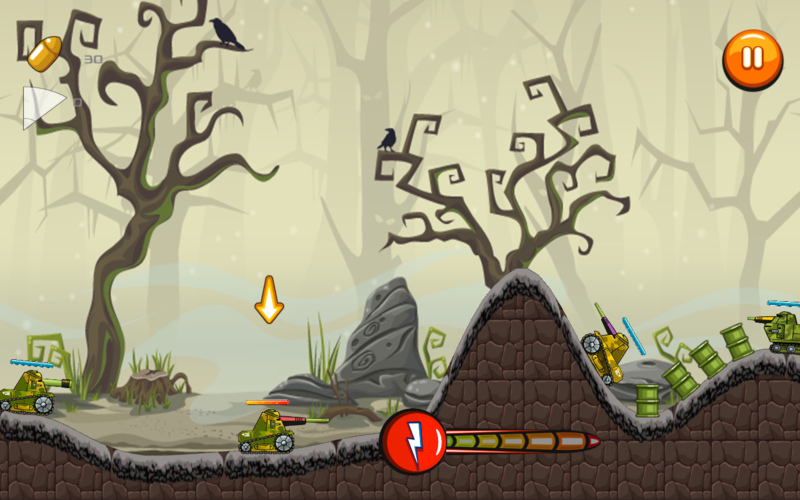 There are various special effects and the hero of the game is a 2D designed tank hero. The background environments are excellently designed and the player assumes as if they are really on the site. The best thing is that the environments are interactive as well which is a great help in strategically taking over your enemies. The great action tanker gameplay has original soundtracks which make the game more thrilling and exciting. You will assume yourself to be a real hero who is fighting in the tank with enemies. 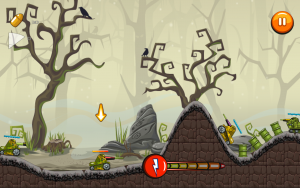 Every level has a new battle ground which is interactive and which enhances the entire gameplay. Duel of Tanks is allows its players to play turn wise and in a strategic way so that you can take over your enemies effectively. The graphics are excellent and the soundtrack is high quality. 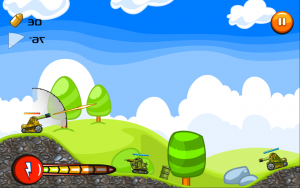 With this game, you have the opportunity to get your hands on an action game which will makes you a hero and will defeat all your enemies with different types of weapons. Mount your tank and get ready to fight now.